What changes has Google made to its shopping service? How are Google Shopping’s competitors performing in organic search? 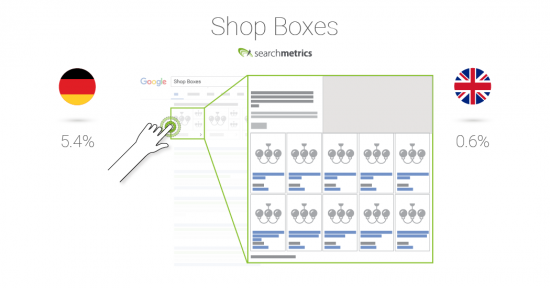 How visible are Google Shopping’s competitors in the new-look Shopping Units? 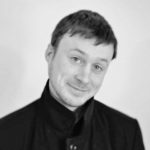 Have all eCommerce sectors been affected in the same way? To meet the European Commission’s demands issued in its anti-trust statement in June 2017, Google overhauled its Shopping Units, both on the business side, shifting its shopping operations into a separate financial entity, and in terms of functionality, with other companies now able to bid for places in the Shopping Units. Since September 28 2017, each ad in the Shopping Unit indicates which comparison service is providing it. In this example, all visible Product Listing Ads (PLAs) are “By Google.” According to Richard Stables, of price comparison site Kelkoo, as many as 99% of results are held by Google, suggesting that little has effectively changed in terms of Google’s dominance. 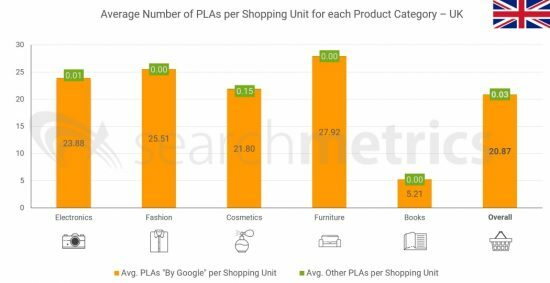 Therefore, we investigated how frequently rival comparison services appear in the Shopping Units on Google desktop search throughout December, and compared results across five of the biggest eCommerce sectors. First results for UK and Germany are in the charts below. In the UK, less than 0.1% of furniture PLAs are held by competitors. 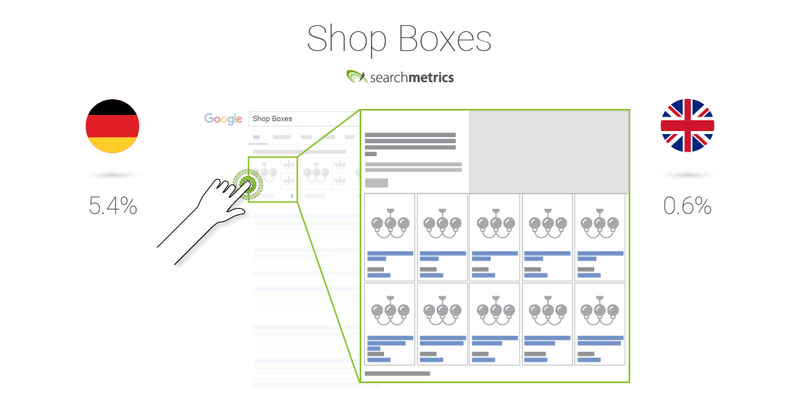 More, deeper analysis of Google Shopping results is presented later in this report. In September 2017, Searchmetrics published a special SERP Integration study that focused on the development of Google Shopping since 2013. 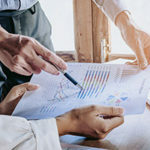 The growth of Google’s own product comparison service was analyzed alongside the online performance of shopping comparison services in three European markets, France, Germany and the United Kingdom. The study looked at the anti-trust case brought by the European Commission against Google, and investigated how the data reflected the accusations. The conclusions were, broadly speaking, that the European Commission had painted a very one-sided picture of the impact of Google Shopping on its competitors, whereas the data suggested a much more complex, and far less cut-and-dried situation. The online performance of Google Shopping’s competitors’ was tracked using the organic desktop search visibility (Searchmetrics’ SEO Visibility) of other domains that offer comparison shopping services, focusing on June 2013 to June 2017. The following charts show the combined overall organic search visibility of Google Shopping’s competitors (23 domains in UK, 26 in Germany) since the end of June 2017. The major change to Google Shopping that was made at the end of September is also indicated. The trend since June 2017 shows that Google Shopping’s competitors in both markets have continued to lose organic search visibility, both prior to and following the revamp at the end of September. The organic visibility of the competitors gives us a good guide of how the websites are performing overall. However, for deeper insight into any strengths and weaknesses, we need to create a more precise definition of the market. This is particularly important when assessing Google Shopping’s dominance and the fate of its competitors. Therefore, to analyze the online shopping market, we have broken it down into five sectors, corresponding to five of the largest product categories for eCommerce in Europe, as listed, for example, in an annual report published by postnord. 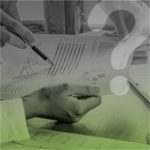 Having established the sectors to analyze, we can investigate the Google Shopping Units in each sector. The results are based on an analysis of desktop search results for 500 popular, high-volume keywords corresponding to each eCommerce category, making 2,500 keywords in total for each market. 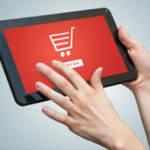 The data was taken at four points throughout December, the month with the highest turnover for the eCommerce industry. Which competitors are best represented in the Shopping Units in each category. The results for the German market are also included for comparison. In addition to the make-up of the Shopping Units, we also analyzed how often each type of Shopping Unit is displayed. The different types of Shopping Unit, and their frequency in the UK and German markets, are shown below. 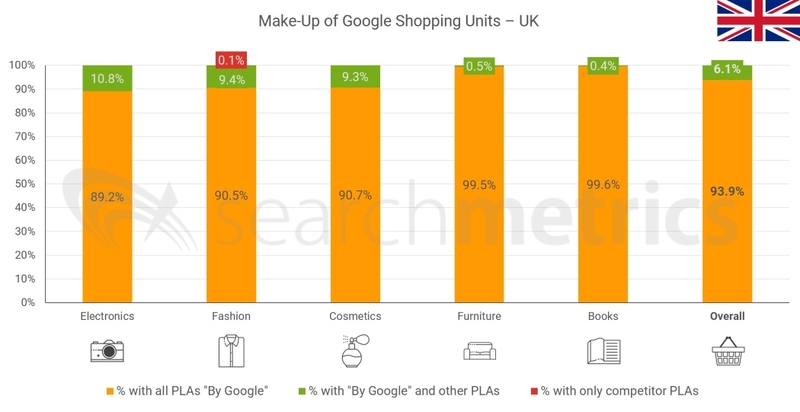 Our analysis of the UK market clearly shows that Google Shopping is extremely dominant within the Shopping Units, with over 99% of ads in all five sectors. Nevertheless, there is differentiation along product category lines. Google Shopping’s UK competitors do best in the cosmetics sector, both, though even here they only occupy 0.7% of all PLAs. The UK furniture sector has the most PLAs per Shopping Unit (27.92), yet over 99.9% of these PLAs are by Google, meaning that all other players are genuinely invisible. 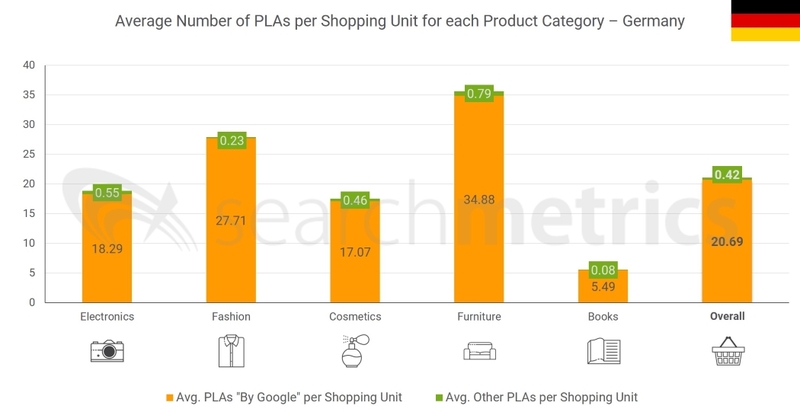 The sector with the most UK Shopping Units including at least one competitor PLA is electronics, with 10.8% of mixed (Google/other) Shopping Units. However, in total only 0.6% of ads are held by competitors. The only UK sector with a Shopping Unit exclusively populated by a competitor is furniture. For books keywords in the UK, only 5.2 ads are shown on average in a Shopping Unit, the least of all sectors. The biggest single competitor in any one sector is lyst.co.uk, though with 0.4% of fashion PLAs, they can hardly be considered a significant player. 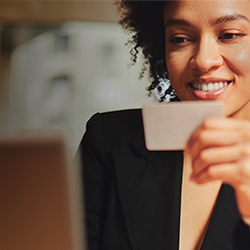 The vast majority of Shopping Units (98%) are made up of Single Ad PLAs, either above or to the right of the organic search results. Clearly, it is still very early days in this new era of Google Shopping, but the service’s competitors are struggling on both fronts. There are differences across sectors but overall, the competitors’ organic search visibility is declining and they have as yet no meaningful presence in the Shopping Units. Certainly, the fact that Google seems to be holding all the cards and pulling all the strings in its paid services underlines the importance of organic search, and suggests that this is where marketers should be focusing their attention. Google Shopping’s UK competitors can perhaps draw some hope from the situation in Germany, where Google only occupies 98% of the PLAs. This is still an almost uncontested majority, yet it does mean that German competitors have five times as much representation in the Shopping Units as their UK counterparts. 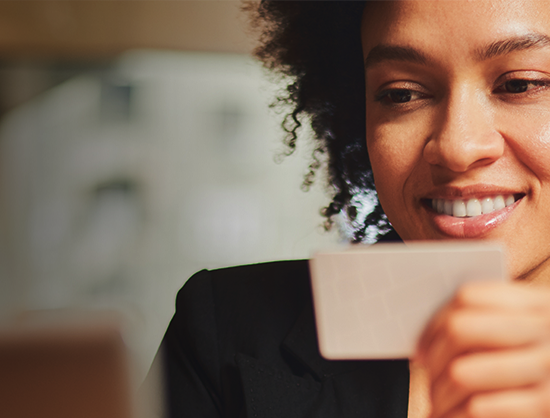 At a sectoral level in Germany, we see 35.7% of electronics Shopping Units including at least one competitor, and 0.2% of Shopping Units with only competitors. 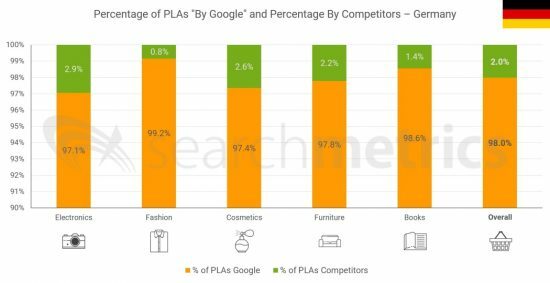 At ad level, competitors own over 2% of PLAs in the electronics, cosmetics and furniture sectors. Finally, Germany has more diversity in how Shopping Units are displayed, with far more shop boxes and one-line PLAs than the UK. Around 90% are Single Ad PLAs. My organization knew a good experience through the followed ways up to day and so we benefitted of all important technical aspects which enable us to open our email box without a big difficulty and same to close it. We are living a good experience through another experiences which are putting into our website system.